Juventus have made it clear to Chelsea that they cannot sign Gonzalo Higuain on a simple loan deal in the transfer window this month. Higuain’s future at AC Milan has come under the scanner just half-a-season after he joined the club on an expensive loan deal from Juventus. AC Milan coach Gennaro Gattuso wants to keep Higuain and the Rossoneri have an option to make the move permanent at the end of the campaign. However, there are incessant reports that Maurizio Sarri wants the former Napoli man at Chelsea and the Blues have contacted Juventus to probe the possibility. 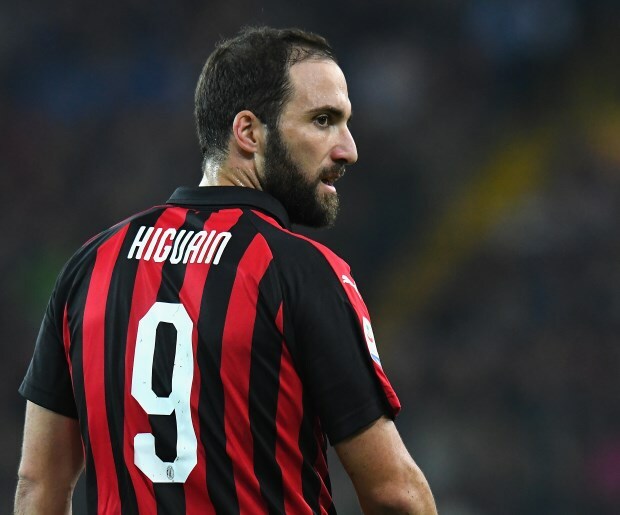 Chelsea are worried about committing big money for the 31-year-old striker, and according to Italian daily Gazzetta dello Sport, Juventus have stressed that Higuain will not be allowed to leave AC Milan and join the Blues on a simple loan deal. The Italian champions are aware Chelsea could look for an initial loan, but will not play ball. The Bianconeri will only look to bring Higuain back from AC Milan if Chelsea are prepared to accept an obligatory purchase option with the loan deal. Higuain does not want to actively push for an exit from AC Milan, but is keen to work with Sarri again at Chelsea.